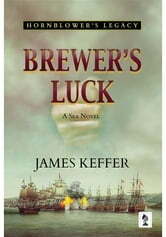 After gaining valuable experience as an aide to Governor Lord Horatio Hornblower, William Brewer is rewarded with a posting as first lieutenant on the frigate HMS Defiant, bound for American waters. Early in their travels, it seems as though Brewer’s greatest challenge will be evading the wrath of a tyrannical captain who has taken an active dislike to him. But when a hurricane sweeps away the captain, the young lieutenant is forced to assume command of the damaged ship, and a crew suffering from low morale. Dull and slow plot. Dialogue between characters was childish and repetitive. A good tale in the Hornblower tradition, spoilt by American terminology inappropriate to a story of the Royal Navy.